There has been an increase in job boards usage throughout the world. Everyone wants to hire new resources for newer projects and it sometimes becomes paramount importance to hire resources in short duration. Recruiters are choosing various job boards to post a job on job boards. Many of these job boards have long registration forms and then long job ad posting forms. Some times these forms are annoying. Jobisite after listening to these issues from various recruiters have opened their gates for an easy job posting. Employers and recruiters can now post jobs without registering. They are not presented by long job posting forms but a simple one-page form. Just fill up a few fields and recruiters can post their free job ads without registration. On average it just takes less than a minute to post a job ad. 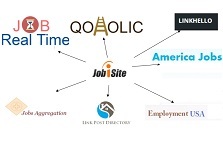 Jobisite is trying hard to ease things for recruiters and it is one of the best and simplest way to do so. Let’s see how can one post their job ads without registration. Just go to : https://www.jobisite.com/postFreeJob.htm . One can find this link in the footer links of the website also. 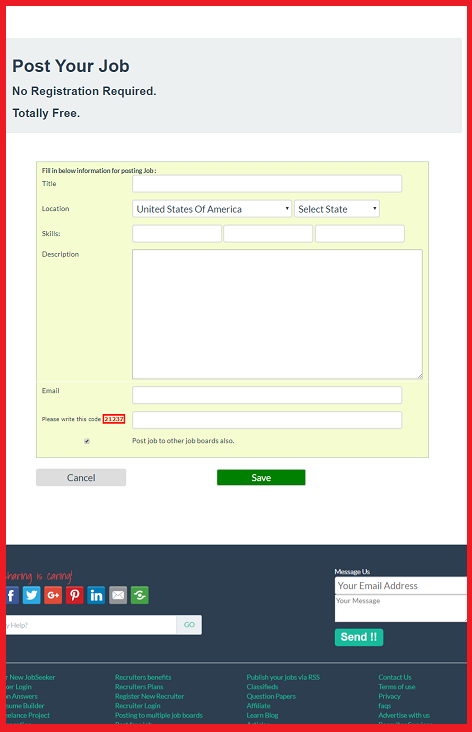 Fill in the job details and your email for receiving resumes. Click on submit and your job gets posted. Finally, you have to click on the activate link sent to your email. This is required to prevent spam email jobs.